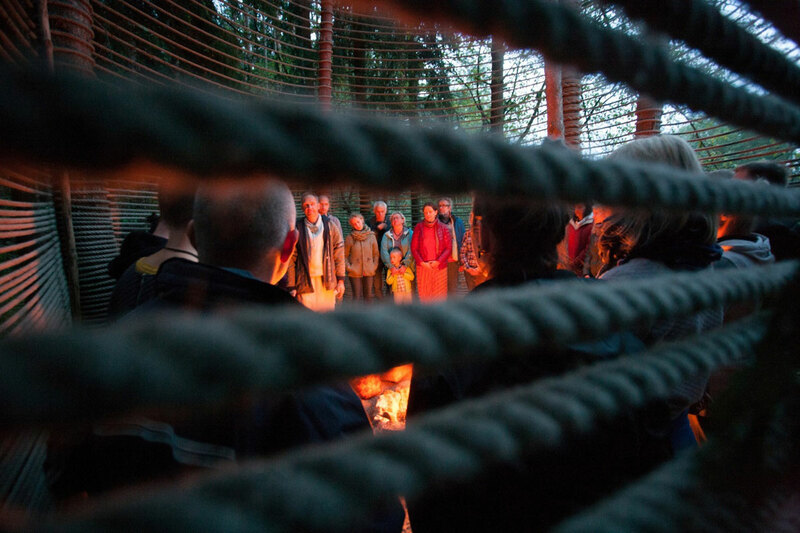 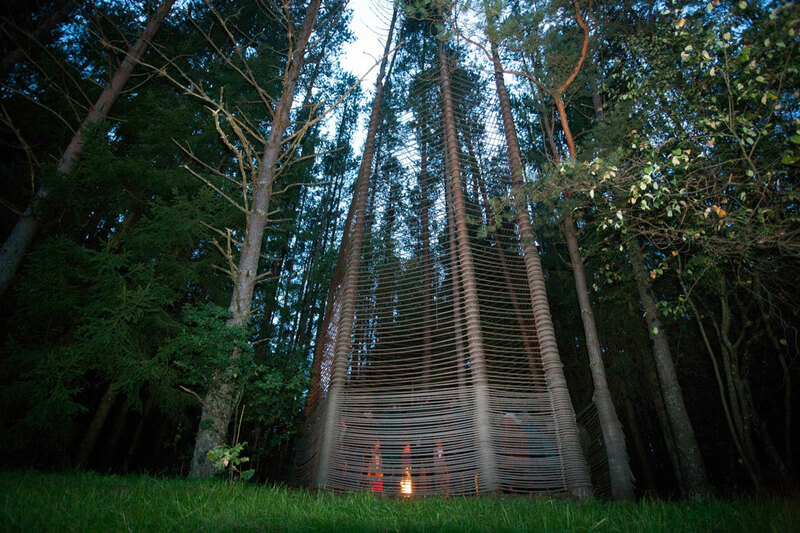 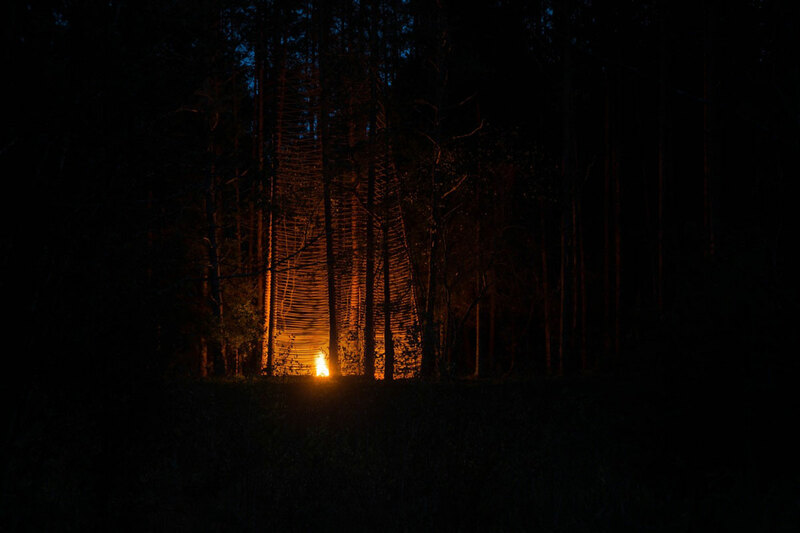 Forest Temple is a result of the Constructive Shamanism workshop in Lithuania, 2016. 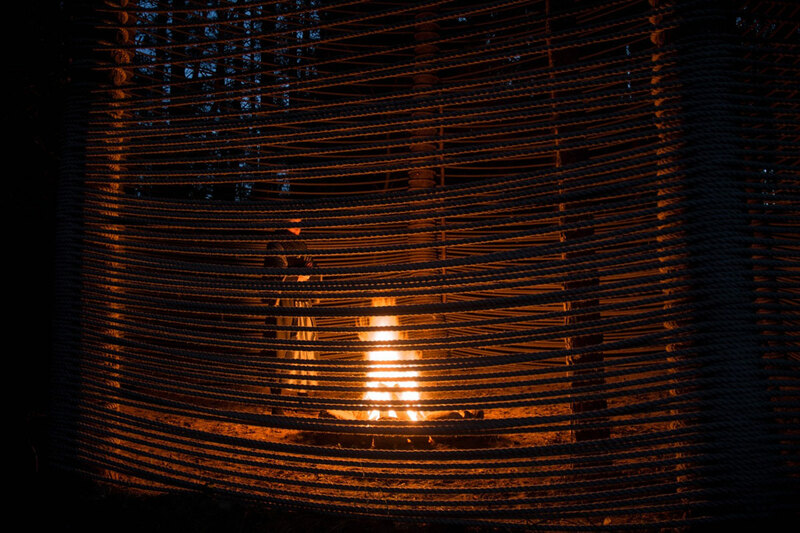 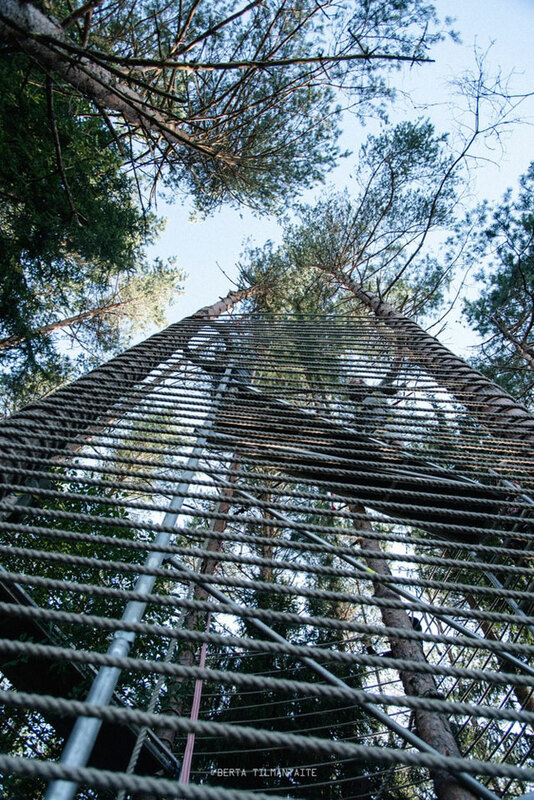 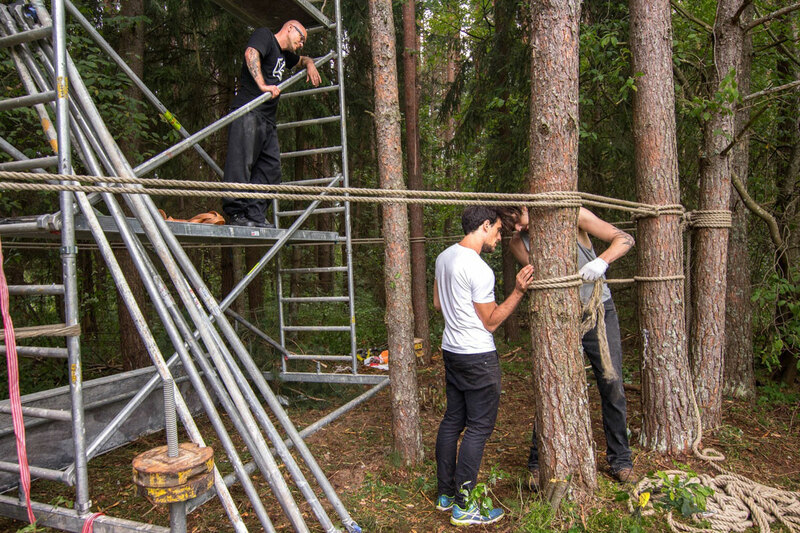 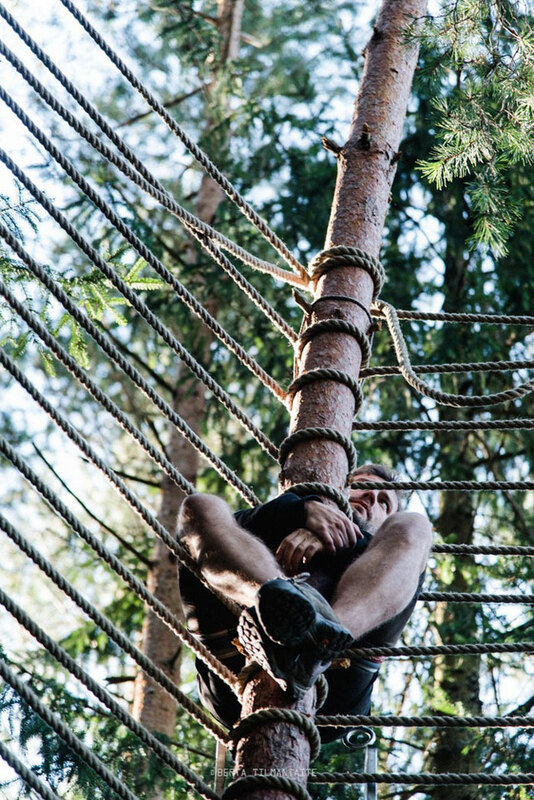 A multi-disciplinary tribe of artists, artisans, architects, writers, photographers, yogis and children of forest gathered in the ancient lands of Vytautas V Landsbergis to perform architectural rituals connecting the modern man with nature. 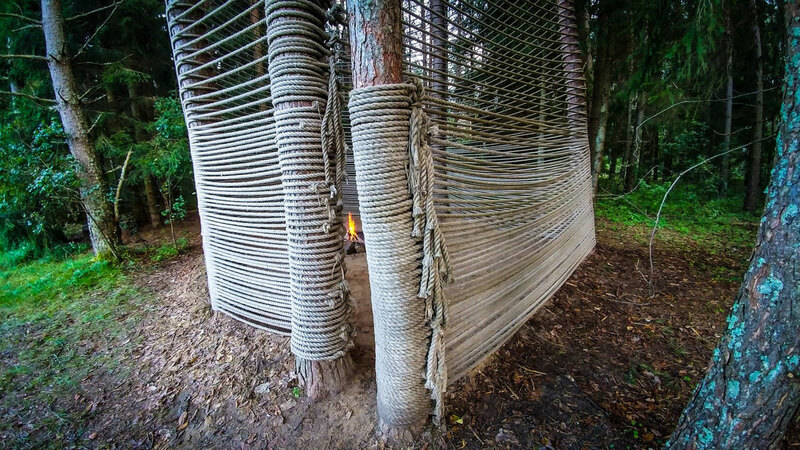 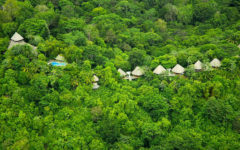 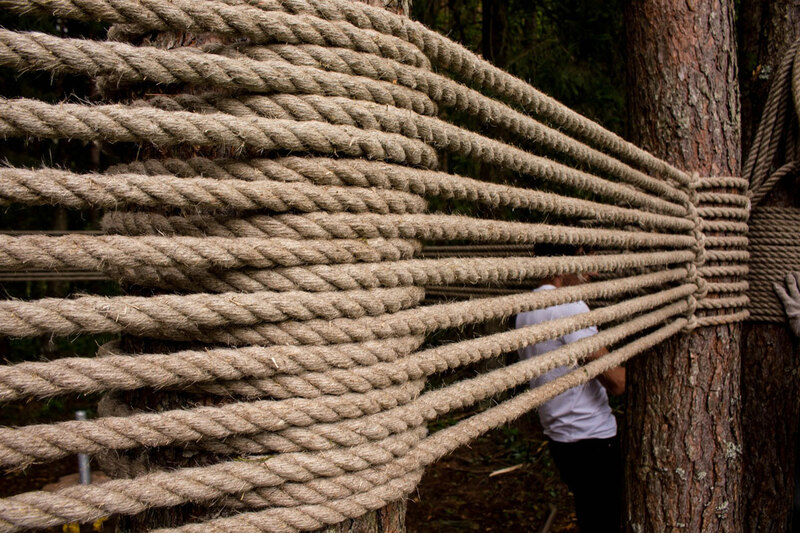 Living in tents and teepees and eating from the nature, the tribe started to do a circular meditative movement to connect a handful of pine trees with natural linen rope. 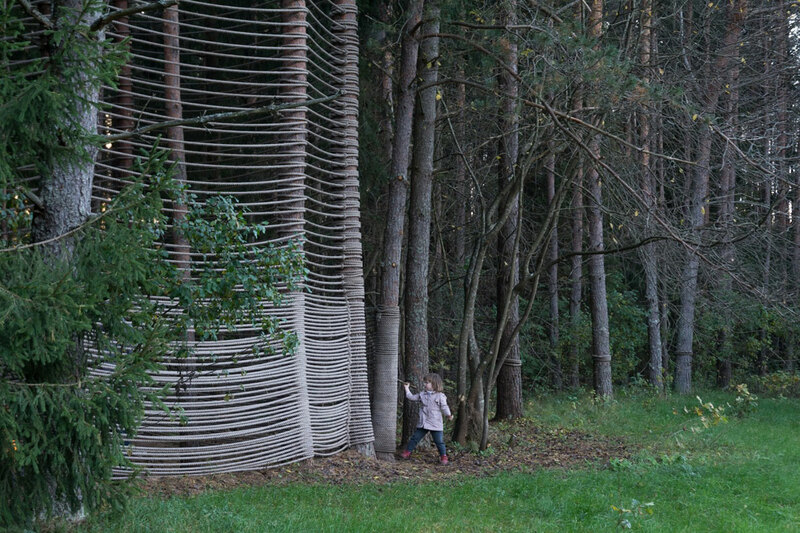 The result is insect architecture, a man-made semi-transparent cocoon swinging together with the trees. 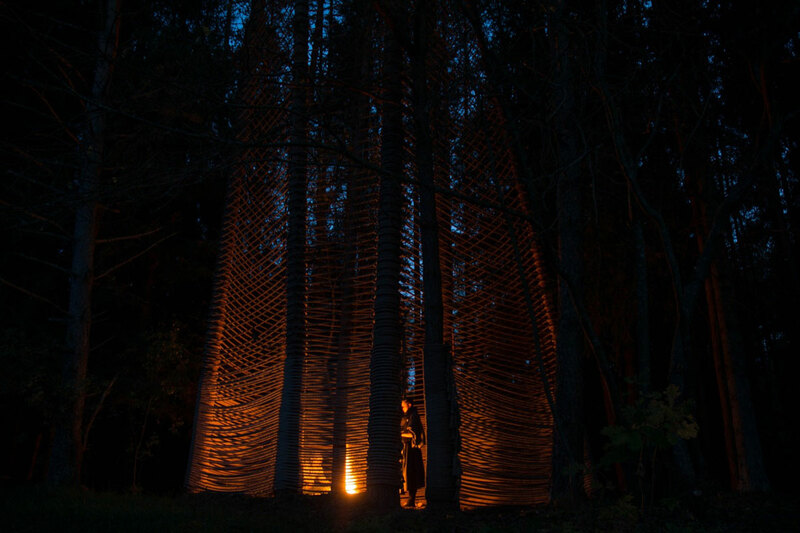 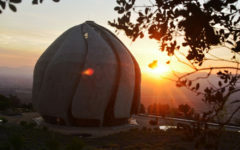 Architecture is the art of reality. 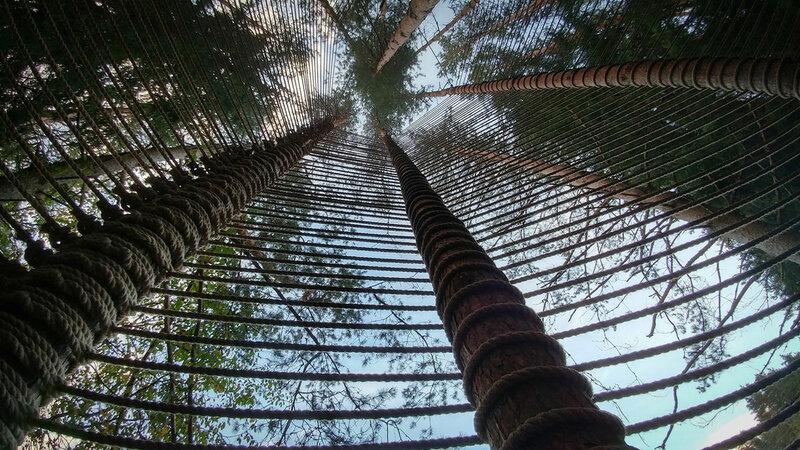 There is no other reality than nature.